Just as Heroku has made it simple for you to deploy applications, at Citus Data we aim to make it simple for you to scale out your Postgres database. Once upon a time at Heroku, it all started with git push heroku master. Later, the team at Heroku made it easy to add any service you could want within your app via heroku addons:create foo. The simplicity of dragging a slider to scale up your dynos is the type of awesome customer experience we strive to create at Citus. With Citus Cloud (our fully-managed database as a service), you can simply drag and save—then voila, you’ve scaled the resources to your database. Today we are excited to announce our Citus add-on for Heroku. Now with heroku addons:create citus you can get a database that scales out just as easily as your app does. When running Postgres on a single node, the need to scale out can occur anywhere from 100 GB of data up to 1 TB. If you’re running Postgres already, then Citus is a natural fit. With Citus you’ll get much of the experience you expect on Heroku, coupled with the ability to keep scaling out your database. Let’s take a deeper look at a few of the features available for the Citus add-on. Citus leverages the same underlying tools as Heroku Postgres for continuous protection. In fact, the team that runs Citus Cloud is the founding engineering team from Heroku Postgres. With continuous protection, Citus takes incremental backups of your database every minute. From there our control plane then monitors your database every 30 seconds to make sure your database is healthy and active. If anything goes wrong, our Citus state machine begins a series of automated processes to restore availability. If our systems determine it’s needed, we may perform an HA failover or disaster recovery, leveraging the continuous protection and frequent incremental backups to ensure your data is still safe. I like to say that we wear the pager for you, to keep you up and running. So you can focus on your app, not your database. When managing an app, there can be a lot to juggle: there are endless options for metrics and what to pay attention to. 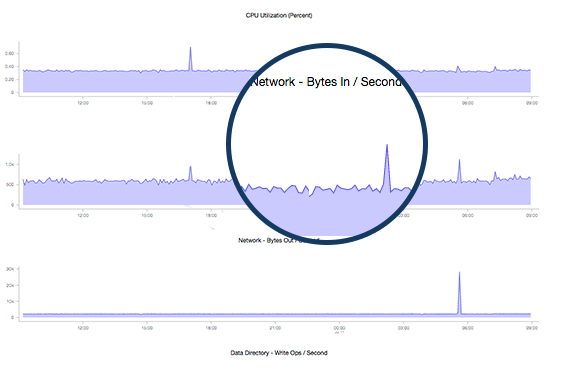 Many of the standard best practices for Postgres performance apply—most importantly, I always recommend you pay attention to your cache hit rate and index hit rate, both of which we make available for you in the Citus Cloud dashboard. We also make it easy for you to centralize your logs into any one of the Heroku add-on providers of your choosing. To do this you can create a new secure TLS drain which will send the logs from all Citus database nodes to your logging system. We know that Heroku makes it easy to add new collaborators to your app. And when it comes to your database you may want to grant access to users that are a bit less familiar with a CLI—or perhaps you don’t want some of your users to have full access to your Heroku app. With Citus Cloud, you can add new users and restrict their permissions however you see fit. Want to allow inserts but not deletes? Done. Want them to only have read-only permissions? Done. You have the ultimately flexibility to control roles how you see fit. At Citus we get that flexibility matters. So we’re making it simple for you by allowing custom Citus add-on plans to be created. If you don’t see the Heroku add-on plan that makes sense for you, just let us or let the Heroku team know and we’ll make sure to get it created and available for you. We want scaling your Postgres database on Heroku to be as easy as scaling your Heroku app. Which is why we’re excited to roll out the Citus add-on to help you grow. If you’re using Heroku Postgres and are looking for scale, give the Citus add-on for Heroku a try today.